The Petroff Defence is anything but dull. Although it is a frequent choice of top grandmasters, club players often fear that it leads to passive play. This book will debunk this prejudice and open new vistas.The Petroff that Or Cohen champions is sharp and ambitious. The Israeli FIDE Master has studied and practised his favourite opening, also known as the Russian Game, for many years. Based on his experience he has turned it into a vigorous weapon with which Black doesn’t play for a draw but fights for a win.Cohen offers many exciting choices for Black in the Petroff, backed by new analysis and samples of his own games and those of top players. Every line radiates his love of lively piece play. In a separate part, Cohen deals with all the 1.e4 lines that White can try to avoid the Petroff.Here, too, he comes up with a wealth of fresh and sharp ideas. 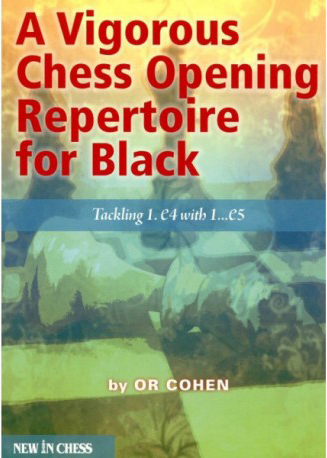 This book provides you with an accessible, comprehensive and vibrant repertoire against the ever popular 1.e4, based on the fundamentally solid first move 1…e5.